Greggs the bakers have been running some brilliant marketing campaigns over the last couple of years, from the sausage roll baby Jesus in the advent calendar, the Valentine’s Day menu, to last year’s transformation into Gregory and Gregory for a posh food festival. This year they topped the January news agenda by bringing out vegan sausage rolls. Cue outrage/ applause. I went to a Greggs to try one, but they were sold out. So I made my own. 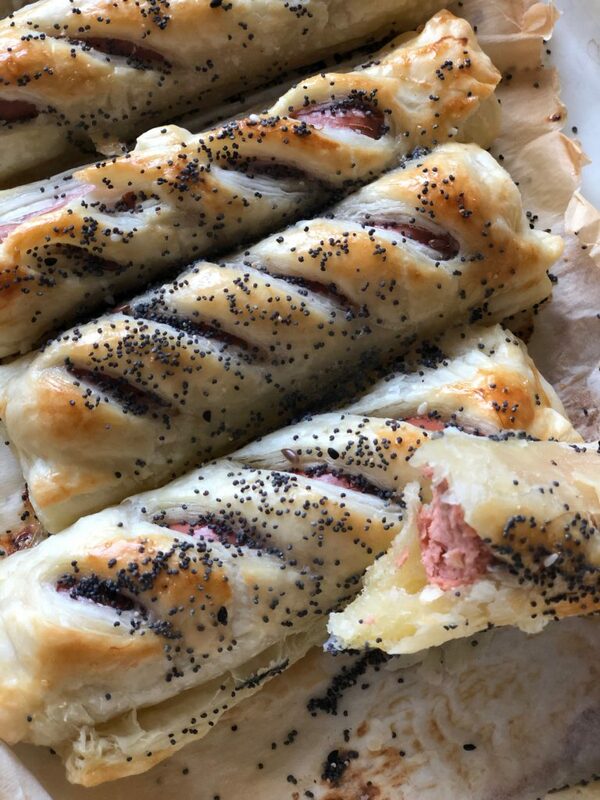 If you buy the vegan puff pastry and the vegan sausage, this recipe takes 15 minutes max from removing stuff from the packet to having a steaming hot sausage roll in your mouth. Could this be any easier? 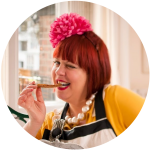 Remove the puff pastry from the fridge and unfurl the roll and remove vegan sausages from freezer. Cut puff pastry into 5cm squares. Place sausage on top and wrap the puff pastry around. Seal. Slash the top of the pastry a few times. Brush the top and sides of the pastry with vegan milk. Scatter a few of the seeds over the top. 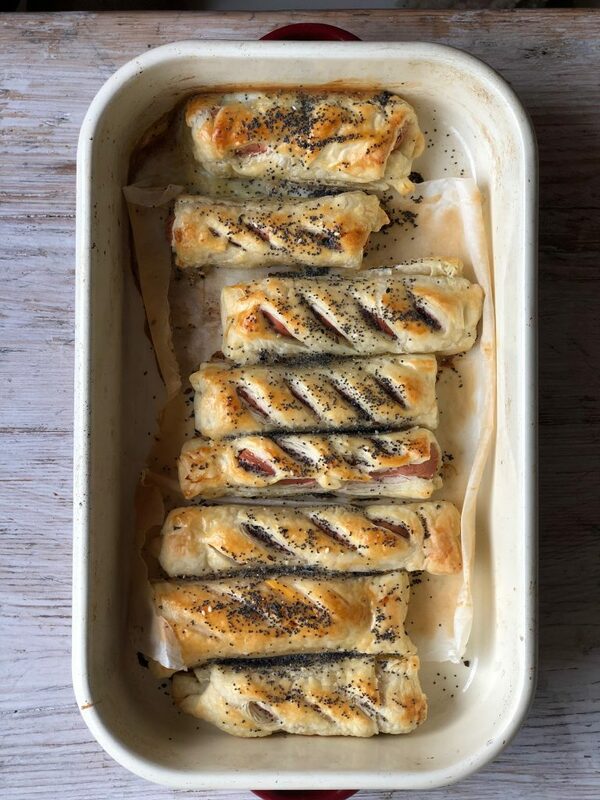 Place the sausage rolls in a baking tin. Bake for 10 minutes at 200C. Serve hot on their own or with ketchup/brown sauce.